PetCareSupplies, a trusted online supplier of pet care products has announced huge sales to commemorate Columbus Day. The company announced 6% discount on all pet supplies as a mark of honor for the Discoverer’s Day with coupon code SAVCOL6. Columbus Day is celebrated across America as “Day of Recognition”. On this eve, people from across the country participate in parades and gatherings to honor the achievements of Columbus. As a mark of extending its support in celebrating this spirit of freedom, patriotism and progress of the country, the online pet supplier makes pet care supplies more affordable. The team of PetCareSupplies states that “pets serve the nation by participating in rescue operations, defense forces and security teams. By making pet care affordable we are honoring the spirit of support given by pets across America.” The company declares this sale to ensure that pet parents can buy branded products without feeling the burden of heavy prices. The sale will be on from October 10, 2014. On these days, every product at www.petcaresupplies.com including flea and tick treatments, wormers, wound and joint care treatments would be priced 6% less than the actual price. It is a limited time discount for customers across America. 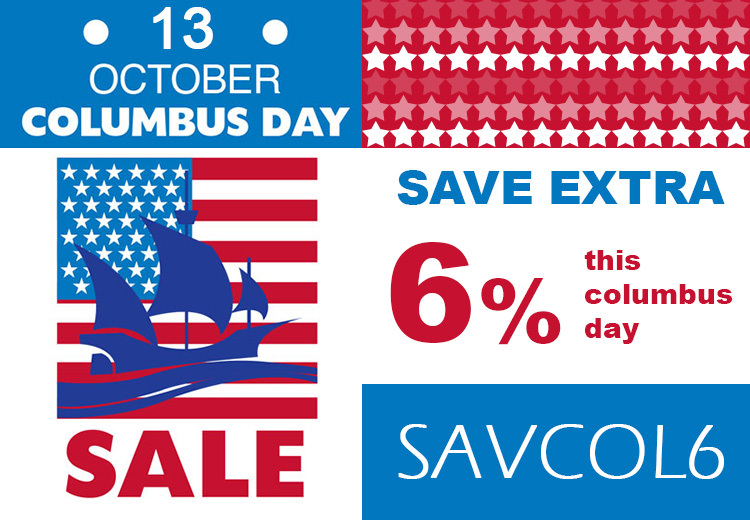 Customers can use SAVCOL6 as coupon code and get the discounts. PetCareSupplies has been a trusted name for selling genuine brands of pet care supplies at cost effective prices. The company’s free shipping policy makes every order more affordable. It is famed for shipping products even in the remotest part of America. Company Info: PetCareSupplies is a renowned online supplier of pet treatments for cats and dogs. The company sells genuine brands of pet supplies at affordable prices. With highest ratings of customer satisfaction, the company has become a reliable name for buying pet supplies across America.